Somerset Gold beauty by Rustic Roots! Since the drawers on this vintage dresser were broken, they came up with an ingenious idea to create shelves and make it into a multipurpose piece! "This is an antique dresser upcycled with shelving added and drawers removed. 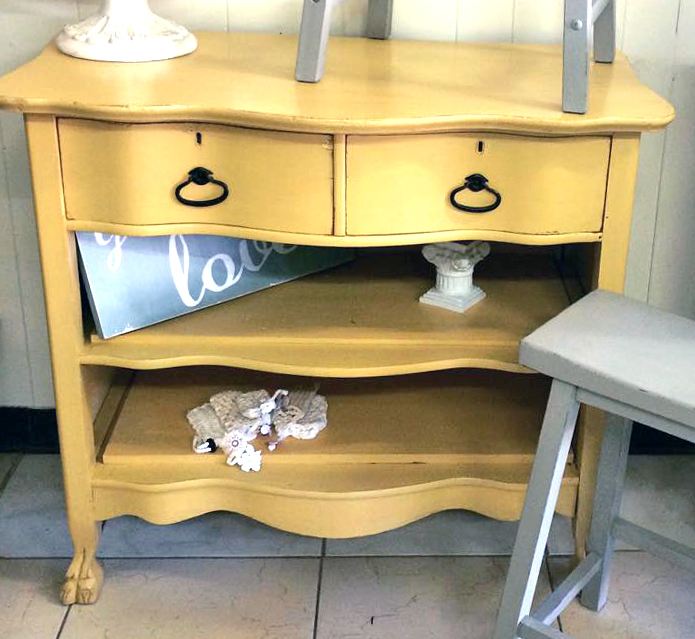 This is painted with General Finishes Somerset Gold! This sweet piece could be used in a bathroom, as a media center, entryway table, baby's room, etc!"